Differential › Rockwell Truck Differentials « Truck Drivetrain Co.
Rockwell Differentials & Differential Parts | Rockwell Drive Axles, Axle, Rockwell Axle Parts. 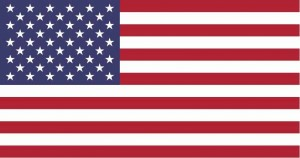 Rockwell drivetrain components, rebuild facilites and parts departments located all over the USA for fast service and delivery. 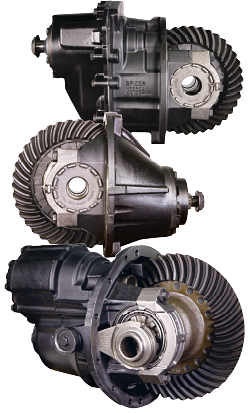 We also offer a full line of new, used and professionally rebuilt Fuller transmissions, Spicer, Rockwell, Rockwell, Rockwell, Allison and ZF truck transmissions & differentials. We stock New, Used, and Rebuilt Rockwell Differentials, Drive Axles, Rear-End Parts, Axles & Hubs, Rockwell Transfer Cases and Axles for Trucks and Equipment at Wholesale Discount Prices with Low Cost Worldwide Shipping and Delivery. Truck Drivetrain Co’s Rockwell parts division supplies the full line of Rockwell differential, drive axle, rear-ends, transfer case and differential parts for your trucks and equipment needs. Our products include new, used and fully rebuilt Rockwell units, seals, hubs, shafts, gears, cases, shims, washers, bearings, axle shafts, yokes and replacement parts of all kinds. If it’s a part you need for a Rockwell Differential, Drive Axles or Transfer Case, Truck Drivetrain Co. stocks it at wholesale prices with fast delivery. Rebuild kits, bearing kits, gasket & seal sets as well as complete rebuilding services for all types of Rockwell units. Our Rockwell parts departments also stock fully rebuilt, new and used units as well as the complete Rockwell line of repair and replacement parts. We carry every part for every Rockwell model on the market as well as older, discontinued and out-dated units. We offer complete rebuilding and repair services for all Rockwell differential models as well as discount parts for the do-it-yourself crowd. In Stock Rockwell Models Including: Diff assemblies. drive axles, transfer cases and rear-ends. We will assist you to locate the Rockwell parts you need as well as offering expert technical advice. Rebuilt MS-26-616, MS-30-616, MS-38-616, MT-52-616, MT-58-616, MT-70-616.Quality Rebuilt Rockwell Differentials. Rebuilt Rockwell Front Diff: SQHD, SQ100, SQ100-P, SSHD, RT40-145, RD20-145, RDL20-145, RP20-145, RPL20-145, RT46-160, RD23-160, RDL23-160, RP23-160 & RPL23-160. Rebuilt Rockwell Rear Diff: SQHD, SQHP, SQAR, SQ100, SSHD, RT40-145, RR20-145, RRL20-145, RT46-160, RR23-160 & RRL23-160. Rebuilt Rockwell Single Speed Differentials: F106, R170, RS20-145 and RS23-160. Rebuilt Rockwell Two Speed Differentials: RS15-210, RS17-220 & RS21-230. Rebuilt Rockwell: RS20-140, RS20-145, RS23-160, RS23-161 Differential. Rebuilt Rockwell Forward Carrier: 140, 141 & 145. Rebuilt Rockwell 2 Speed Single Axle: 210, 220, 230 & 240. Rebuilt Rockwell: RS13-120, 15-120 & 125. We want to be your most reliable source for all your Rockwell differentials, component and parts needs and will do whatever it takes to secure you as a customer.